Usually, malware is very sneaky. It makes you believe that it is actually harmless when in fact it’s not. Malware usually disguises itself as legitimate software such as antiviruses and video players. There are 6 various methods you can implement to remove malware from your Macintosh. Let’s start with the first one. If you are aware of which application or software is causing the infection, then you’re on your way to removing the malware. Step 1 - Type “Activity Monitor” in the Launchpad and open it. Step 3 - Click [x]. This ensures that the process is closed. Step 4 - Go to your Applications again. Transfer it towards the Trash bin. Step 5 - Finally, make sure the Trash bin is emptied. This is a very quick and easy method to remove malware from your device. However, there’s a problem with manually removing malware. Sometimes, there are different pieces of the malware found in different system folders on your Mac. If you don’t address the root cause, it will continue to scatter all throughout your system. Thus, it is best for you to use robust uninstallers that will do the job for you. We will get back to this in the latter part of this article. Here’s A Tip: Make a search for.DMG files that are virus infected in your Downloads folder. Malware can usually be found in files you have recently downloaded especially in media type files. Make sure you delete these files. After which, you should make sure you have emptied the Trash bin. Step 1 - Visit the Apple Menu. Step 2 - Choose System Preferences. Step 3 - Select Users & Groups. Step 4 - Ensure that your username is the one selected or highlighted. Step 6 - Utilize the “---” sign thus allowing you to disable suspicious applications (e.g. Mac Defenders) you might find in the window. Step 7 - Restart or reboot your Macintosh to allow changes to occur. Pop-up advertisements are related to your browser thus you have to ensure you are prepared for cleaning up the browser you are currently utilizing. Do not believe what the pop-up ads are telling you. These pop-ups and alerts scare you that viruses have already infected your Mac. Do not buy into this by downloading and installing a Mac Security or Mac Defender software. The best thing to do is to avoid clicking on the pop-up ad and hit the close button instead. If the [x] button doesn’t close the pop-up ad, you should simply close the browser by holding Ctrl + Click. If you want to reopen the Safari browser without restoring previously opened pages, hold “Shift” while launching it. Here’s A Tip: Ensure that you set the homepage of your browser to a trusted page or better yet, a standard Google site. Quick Tip: You can also delete all extensions in Chrome if you want. You can simply reinstall the non-malicious extensions one by one afterward. 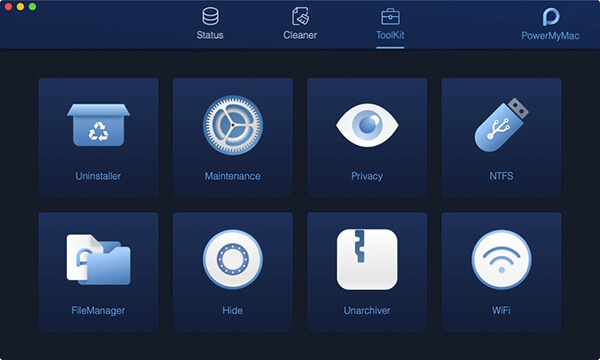 We have now told you how to clean applications, login items, and extensions. However, these aren’t the only places where you can find malicious software. System services such as Daemons and Launch Agents can also be infected with malware. Examples of these system services include automatic backups or software updates and they run in the background without getting noticed. Step 5 - You will discover a lot of .plist files. Delete the files that looks malicious or suspicious. Step 6 - After doing all of this, you should do a Mac reboot. One powerful way to remove malicious applications is through the use of an uninstaller like iMyMac-PowerMyMac's Mac Uninstaller. 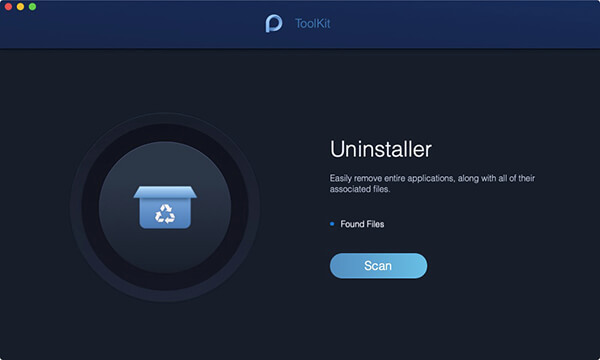 There is a lot of stubborn malicious software that is hard to get rid of and this Mac Uninstaller might be the only way to do the trick. Download the iMyMac-PowerMyMac and open it on your Mac. On the top side of the program window, click “Mac Uninstaller” in ToolKit. After the scanning process is finished, you will see a list of software. Select the seemingly malicious ones, the ones you want to remove from your Mac. Press “Clean” and confirm the deletion process. If none of these methods work, there are other ideas that can help remove Mac adware. First, you can switch to a different user account on your Mac and implement a full system cleanup. Second, you can use a Time Machine to restore your Mac to a point in time when it isn’t infected. Finally, you can update your Mac operating system including all the software in your device. Malware is a dangerous software that can harm your device and even put your security and sensitive information at risk. If you think your Mac is infected by malware, it is best to do ALL the methods outlined above to get rid of the risks associated with it. If all else fails, you can do a full system cleanup or even update your device and operating system to do the trick.